Meet the MSSP Program faculty experts. Together with other faculty in the School of Social Policy & Practice (SP2) and faculty across the University, we are here to help you develop your own area of policy expertise. Join us in our work toward a more humane world through policy change. 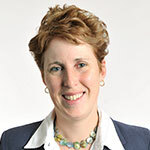 Amy Hillier is the Director of the MSSP program. Her primary faculty appointment is with SP2 and she holds a secondary faculty appointment at PennDesign, in the Department of City & Regional Planning. Dr. Hillier’s research has focused on spatial disparities in housing and public health within US cities, including historical mortgage redlining, affordable housing, access to healthful foods, park use, and exposure to outdoor advertising. 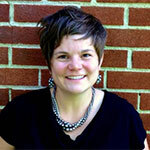 Most recently, she conducted an evaluation of the impact of the opening of a nonprofit food market in Chester, Pennsylvania—an area known as a “food desert.” Since 2016, her research has focused on the experience of transgender and gender non-confirming students in high schools and the needs of transgender kids and their families from schools, health care providers, and social service agencies. Dr. Hillier collaborated with staff and youth from The Attic to write the policy supporting transgender students in the School District of Philadelphia. 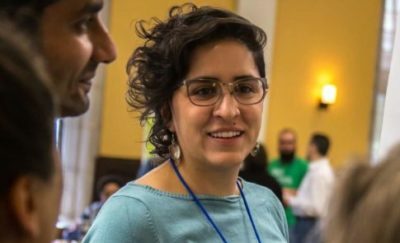 With Dr. Amy Castro Baker, she conducts critical participatory action research and policy-related research through the SexGen Policy Lab. Read more about Amy Hillier, PhD. 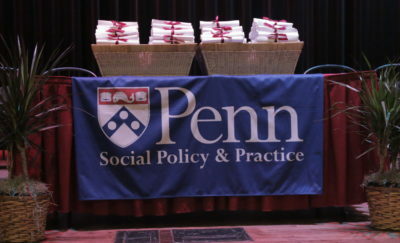 The Dana and Andrew Stone Professor of Social Policy at the School of Social Policy and Practice at The University of Pennsylvania, Dennis Culhane, serves on the MSSP Governance Committee. Culhane is also a Senior Research Associate at the Center for Population Studies and the Director of Research for the National Center on Homelessness among Veterans at the United States Department of Veterans Affairs. He is a leader in the integration of administrative data for research and directs the Actionable Intelligence for Social Policy initiative, a MacArthur-funded project to promote the development of integrated database systems by state and local governments for policy analysis and systems reform. Culhane’s work has resulted in federal legislation requiring all cities and states to develop administrative data systems for tracking homeless services in order to receive HUD funding. Along with Abt Associates and the U.S. Department of Housing and Urban Development (HUD), he has co-authored the Annual Homelessness Assessment Report to Congress (AHAR) since its inception in 2007. His work has also been instrumental in a national shift in how cities address chronic homelessness and family homelessness. Culhane’s recent research has focused on the aging homeless population, and how homeless adults may gain access to housing stabilization services under the Affordable Care Act’s Medicaid expansion. 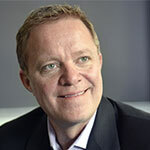 Read more about Dennis Culhane, PhD. An expert in education and social policy and in the philosophy of science of measurement and statistics, he teaches MSSP 897: Applied Linear Modeling in the MSSP program, and serves on the MSSP Governance Committee. He also teaches electives: MSSP 690: Policy and ‘Difference’ in Postmodernity and MSSP 710: Democratizing Data: Analytics for Social Change. Dixon-Román was a Harold Gulliksen Psychometric Research Fellow of Educational Testing Service and an Institute of Education Sciences postdoctoral fellow in the Institute for Policy Research at Northwestern University. His research is on the cultural studies of quantification, education, and social policy. Specifically, he is interested in the social reproduction of ‘difference’ (e.g., race, gender, class, sexuality, and dis/ability) in education; the production of knowledge with the methods of quantification and the ways in which the instruments used in these methods are reconfiguring the boundaries of ‘difference’; and critical inquiry on social policies that seek to address issues of inequality, social mobility, and education. Dixon- Román is lead editor with Edmund W. Gordon on the 2012 volume, Thinking Comprehensively About Education: Spaces of Educative Possibility and Their Implications for Public Policy. In his forthcoming book, Inheriting ImPossibility, he deconstructs the foundational assumptions of nature and culture in theories of social reproduction in education and the philosophy of science of quantification. His emerging work critically examines the ontologies of computational and data analytics, governmental topologies, and the enacted reconfiguring boundaries and assemblages of ‘difference.’ He was a member of the Gordon Commission on the Future of Assessment in Education and serves on the Advisory Board of the Out-of-School Time Resource Center. Read more about Ezekiel Dixon-Román, PhD. Ioana Marinescu teaches MSSP 630 Quantitative Reasoning and MSSP 668 Economics for Social Policy. Professor Marinescu is an economist who studies the labor market to craft policies that can enhance employment, productivity, and economic security. To make an informed policy decision, it is crucial to determine the costs and benefits of policies. Dr. Marinescu’s research expertise includes online job search, workforce development, unemployment insurance, the universal basic income, and employment contracts. Dr. Marinescu’s research has been published in leading academic journals such as the Journal of Labor Economics and the Journal of Public Economics. She is the economist leading the Data@Work Research Hub, a workforce data gathering and sharing project funded by the Sloan Foundation. She writes a monthly op-ed for the French newspaper Liberation, and a monthly blog post on hiring and management tips backed by research at CareerBuilder.com. Dr. Marinescu is a faculty research fellow at the National Bureau of Economic Research. You can follow her on twitter @mioana and check out her research on her website, marinescu.eu. Read more about Ioana Marinescu, PhD. Amy Castro Baker, PhD serves on the MSSP Governance Committee. She also teaches an elective course on MSSP 741: Gender and Social Policy. Dr. Castro Baker’s research explores how economic and social policies contribute to existing disparities, particularly within housing and lending markets. She was awarded the GADE Research Award, the Society for Social Work and Research Outstanding Dissertation Award, and the Nina Fortin Memorial Award for her work on women and risky lending markets in the subprime foreclosure crisis. She is currently developing a cost-effective mixed methods approach to supervised machine learning and Big Data policy analysis that involves direct partnership with public policy interest groups. Dr. Castro Baker also has more than a decade of non-profit experience and sits on the leadership team of the SPARK Movement, an interdisciplinary organization pioneering new methods of systems level social change in a digital age. Prior to her time at Penn she served as a Philadelphia mayoral committee member for the Blueprint to End Homelessness and worked with the Honorable Marjorie Margolies at Women’s Campaign International. Read more about Amy Castro Baker, PhD. Dr. Bourjolly is the Associate Dean for Academic Affairs and serves on the MSSP Governance Committee. Her research examines personal, cultural, and social factors that impact healthcare access and racial disparities in clinical outcomes. Her particular focus is on substantive issues for vulnerable populations including minority women, consumers of behavioral and home healthcare, and children. Her research has examined provider and patient perspectives of managed care on health seeking behaviors and medical decision making. She has also investigated barriers to the recruitment of minorities to clinical trials, racial differences in coping and functioning with cancer, and the use of social and religious supports. More recently, she has examined staff, agency, and health system factors that contribute to inequities in home healthcare outcomes and assessed maternal and provider perspectives on accessing pediatric healthcare for children living in homeless shelters. 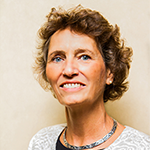 To ensure her research has practical utility in practice and policy communities, Dr. Bourjolly partners with social service and medical providers during the research design, implementation, and dissemination processes. Read more about Joretha Bourjolly, PhD. 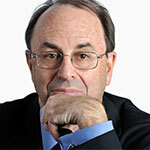 Professor Richard Gelles is the Joanne and Raymond Welsh Chair of Child Welfare and Family Violence in the School. He teaches MSSP 628: Policy: An Analysis of Issues, Strategy, and Process and an MSSP elective, SWRK 706: Policies for Children and Families, and serves on the MSSP Governance Committee. Gelles is also the Co-Director of the Field Center for Children’s Policy Practice & Research and the founding Director of the Evelyn Jacobs Ortner Center on Family Violence. An internationally known expert in domestic violence and child welfare policies and programs, Gelles was instrumental in the passage of the Adoption and Safe Families Act of 1997.His highly influential book, The Violent Home, was the first systematic investigation to provide empirical data on domestic violence. His more recent books, The Book of David: How Preserving Families Can Cost Children’s Lives and Intimate Violence in Families (3rd Edn. ), have also significantly influenced the study of child welfare and family violence. A recent policy-focused book, The Third Lie (2011), offers new directions for universal entitlement programs. Gelles has provided invited testimony to House and Senate committees for more than 2 decades, as well as to state government committees, and provided a position paper for the 1980 White House Conference on Families. Read more about Richard J. Gelles, PhD. See also a New York Times commentary on child abuse and the Great Recession and an audio of Dr. Gelles’s participation in January 2013 on a gun control panel on WHYY radio. Azahara Palomeque, PhD, is a writer, poet, and the Associate Director of the MS in Social Policy at the School of Social Policy & Practice. She teaches the Global Seminar MSSP 797: Whose Colony? Politics, Identity and Social Policy in Revolutionary Cuba (1959-2017), and serves on the MSSP Governance Committee. 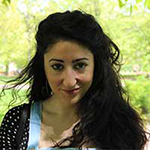 Palomeque’s research engages Spanish, Latin American and Brazilian politics and cultures, focusing on postcoloniality, politics of modernity and underdevelopment, sovereignty and governmentality, social movements, identity and memory – topics on which she has published peer-reviewed articles, essays and a book chapter. She is currently working on a book that dissects the role of hispanismo in creating political alliances between Spain, México, Cuba and Argentina by analyzing the cultural production of exiles and immigrants at times of political turmoil, including the Spanish Civil War and the Cuban Revolution. She has completed research stays at the Universidade Nova de Lisboa, Portugal, the Universidade de Sao Paulo, Brazil, and the Center for Historical Memory in Salamanca, Spain. Palomeque has also worked in the nonprofit sector with immigrant populations and has extensive teaching experience. As a poet, she is the author of the bilingual chapbook El Diente del Lobo/ The Wolf’s Tooth (Carmina in minima re, 2014), the books American Poems (La Isla de Siltolá, 2015), and En la Ceniza Blanca de las Encías (La Isla de Siltolá, 2017). She has published poems and short stories in cultural journals in México, Cuba, Spain, Perú and the United States; her poetry has been partially translated into English and Greek, and has been included in a number of anthologies. Her forthcoming book R.I.P. (Rest in Plastic) (RiL Editores, 2019) articulates the impossibilities of the migrant experience in a world marked by environmental and political crisis. Overall, Palomeque is a humanist who explores questions pertaining to social justice from a creative and analytical lens that crosses borders, languages and disciplines with a special attention to ethics. Palomeque holds a dual bachelor’s degree in Journalism, Communications and Film Studies from the Universidad Carlos III de Madrid, an MA in Luso-Brazilian Studies from the University of Texas at Austin, and a PhD in Spanish and Latin American Studies from Princeton University. Read more about Azahara Palomeque, PhD. Geri Summerville teaches MSSP 629: Research and Evaluation Design in the MSSP program and is the MSSP Internship Coordinator. She consults with foundations and nonprofits in the areas of strategic planning, capacity building, program development, evaluation, and scale. Over the past several years, Ms. Summerville has facilitated the business plan competition for the Social Impact Exchange, which is a national association dedicated to building a capital marketplace that scales proven social programs. 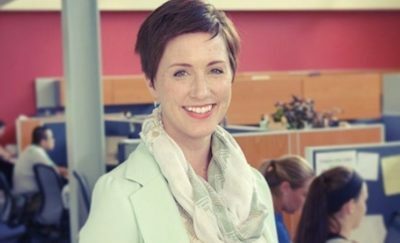 She has more than 15 years of senior management experience and as Executive Vice President for Public/Private Ventures, she worked closely with local, state, and federal governments advocating for the creation of policies that would promote, fund, and sustain evidence-based practice. Her areas of expertise are home visiting, maternal/child health, teen pregnancy prevention, mentoring, and after-school programming. Ms. Summerville has written several publications that inform both policy and practice, including: Copy That: Guidelines for Replicating Programs to Prevent Teen Pregnancy; Laying a Solid Foundation: Strategies for Effective Program Replication; Growing What Works: Lessons Learned from Pennsylvania Nurse Family Partnership Initiative; and The Power of Plain Talk: Exploring One Program’s Influence on the Adolescent Reproductive Health Field. See these pieces at (www.issuelab.org). Read more about Geri Summerville, MSW, LSW. Cassie Statuto Bevan co-teaches MSSP 628: Policy: Analysis of Issues, Strategy, and Process. She teaches both Masters and Doctoral level students in Contemporary Issues in Social Policy, Child Welfare Policy, and Social Welfare and Social Economics. Dr. Statuto Bevan is the Child Welfare Fellow at The Field Center for Children’s Policy, Practice and Research at the University of Pennsylvania. Dr. Statuto Bevan also is currently serving as a Commissioner appointed by Congress to the U.S. Commission to Eliminate Child Abuse and Neglect Fatalities established under Protect Our Kids Act of 2012. In addition, Cassie serves as an expert witness on cases involving children in the child welfare system. Dr. Statuto Bevan has testified numerous times on the federal and state levels on child welfare issues. Some of her academic presentations include: Harvard Law School’s Child Advocacy Clinic Conference; Yale University at the Edward Ziegler Center for Children and Policy; and Georgetown’s Institute for Public Policy. In October 2015, Cassie gave the Keynote Address to the New Hampshire Judicial Conference on new protocols for handling cases of children aging out of the foster care system. Dr. Statuto Bevan has received numerous awards for outstanding leadership in child advocacy. These awards came from organizations including the National Council for Adoption, the National Committee to Prevent Child Abuse, the National Association of Psychiatric Treatment Centers for Children, the Centers for Disease Control and Prevention and, the individual Award for Adoption Excellence from the United States Department of Health and Human Services. Read more about Cassie Statuto Bevan. Catherine C. Carr teaches MSSP 631: Law and Social Policy. Carr is an Adjunct Professor at Penn Law School and the immediate past Executive Director of Community Legal Services, Inc. (CLS) one of the most highly respected civil legal aid organizations in the country. She served in that role for 20 years, and was the longest serving executive director and the first female director. She took the position after eleven years as a public benefits litigator and advocate at CLS, and now serves as a consultant to the organization. Carr coordinates the Strategic Advocacy Initiative of the National Legal Aid and Defender Association (NLADA) and is providing consulting services to legal aid organizations, funders and directors across the country. Read more about Catherine Carr, JD. Ted Dallas teaches the elective course MSSP 601: The power of partnerships between government, non-profits and the private sector. Dallas is the President and Chief Operating Office of Merakey, a human services provider with approximately 11,000 employees in ten states. The company serves individuals living with intellectual disabilities, behavioral health issues, and substance use disorders and also provides education and autism services to children and young adults. Prior to that, Dallas served as the Secretary of the Department of Human Services in Pennsylvania and in the State of Maryland. During his tenures as Secretary, he implemented a variety of initiatives for both Governor Wolf and Governor O’Malley including a full Medicaid expansion as part of the Affordable Care Act and other significant reforms to help seniors, individuals living with disabilities, and children. Dallas also served as Deputy Chief of Staff to Governor O’Malley in Maryland, the Executive Deputy Secretary of the Pennsylvania Department of Public Welfare, and First Deputy Managing Director for the City of Philadelphia. He also worked in the private sector for a Fortune 500 company. He was chosen to receive a national award from Casey Family Programs for his contributions to the child welfare field and his efforts to improve the lives of children and families, and the Thomas J. Zuber Memorial Patient Service Award recognizing his efforts for implementing the Medicaid expansion in Pennsylvania. He also received the Nourish Award from MANNA in for his work helping individuals access healthy food as part of their medical treatment. He is also a proud alumnus of the University of Pennsylvania. Susan D. Haas teaches a module in the MSSP 632 Capstone I: Policy Communications course in the MSSP program. Her focus is global media policy, journalism practice, and strategies for moving research and policy into media conversations. Haas is a former journalist. Her work includes published work on new technologies and international broadcasting, including editing “Starting a Local Radio Station: A Manual for Afghanistan” (Internews). Meg Koppel teaches a module in the MSSP 632 Capstone I: Policy Communications course in the MSSP program. 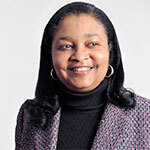 She is the Chief Research Officer for Philadelphia Works, the Philadelphia workforce investment board where she spearheads development of information products that increase the efficacy of public systems through coordination with the private sector and partnerships across government, employers, educational providers, and community agencies. Under her leadership, Philadelphia Works analyzes and consolidates multiple sources of labor market information for validation by employers and to align the system with the City’s economic development efforts. 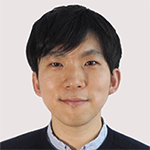 Bum Chul Kwon is a Research Staff Member at IBM Research, where he is a member of the AI for Healthcare team. He teaches MSSP 634: Capstone I: Telling Stories with Data. He is also an Adjunct Lecturer in the School of Professional Studies at Columbia University. His research goal is to enhance users’ abilities to derive knowledge from data using interactive visual analytics systems. His work has been published at premier venues in visualization and human-computer interaction, such as IEEE InfoVis, IEEE VAST, TVCG, ACM SIGCHI. 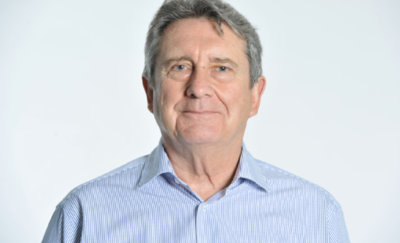 He also serves on the program committee for top-tier conferences and workshops, including IEEE InfoVis, PacificVis, and Visual Analytics in Healthcare Workshop. Prior to joining IBM Research, he worked as a postdoctoral researcher in University of Konstanz, Germany. He earned his PhD and MS in Industrial Engineering from Purdue University, West Lafayette, Indiana, and his BS from University of Virginia, Charlottesville, Virginia. Read more about Bum Chul Kwon, PhD.